 Iran, Jan. 18, 2019 - Reports from cities all over Iran reveal a large amount of activities by Resistance Unit members associated to the Iranian opposition People's Mojahedin Organization of Iran (PMOI/MEK). Members of a resistance unit in Baluchistan, southeast Iran, held a poster of Iranian Resistance leader Massoud Rajavi marking the 40th anniversary of his release from the shah’s prisons back in 1979. In Tehran, members of numerous resistance units put up Massoud Rajavi posters in various parts of the Iranian capital. In Ahvaz, southwest Iran, Massoud Rajavi posters were put up with subscripts reading, “Hail to Rajavi – Death to Khamenei,” referring to Iranian regime Supreme Leader Ali Khamenei. Members of Resistance Unit 980 in Mashhad set fire to a poster of Khamenei and Iranian regime founder Khomeini. Members of resistance units in Arak, central Iran, took to graffiti and putting up signs containing similar slogans. In Shiraz, resistance unit members saw south-central Iran, this slogan written in graffiti. Members of Resistance Unit 991 in Mashhad, northeast Iran, set fire to a large poster of Iranian regime Supreme Leader Ali Khamenei. They took footage of this scene and left a sign at the site reading, “Khamenei should know it will be overthrown soon – Hail to Rajavi.” PMOI/MEK members and supporters are gearing to celebrate January 20, the anniversary of the release of Iranian Resistance leader Massoud Rajavi and the last group of political prisoners from the prisons of the Shah’s dictatorship back in 1979. Another resistance unit in Tehran put up a poster of Maryam Rajavi’s ten-point plan for a free Iran. In Khorramabad, western Iran, members of resistance units took to graffiti and wrote “Death to Khamenei – Hail to Rajavi” in various parts of the city. Members of a resistance unit in Varamin, southeast of Tehran, also took to graffiti and wrote, “Hail to Rajavi – Death to Khamenei – Hail to the PMOI/MEK – Death to Khamenei,” in various parts of the city. In Isfahan, members of Resistance Unit 362 commemorated those who lost their lives at the hands of the Iranian regime’s security forces during the Dec/Jan 2018 uprising. In Semnan, Kermanshah and Karaj members of different resistance units wrote “Death to Khamenei” in graffiti in various districts.